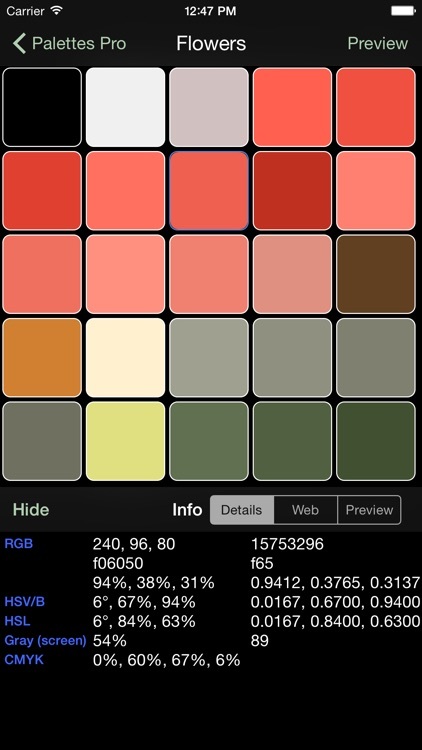 Palettes is a powerful productivity tool for creating and maintaining color palettes. 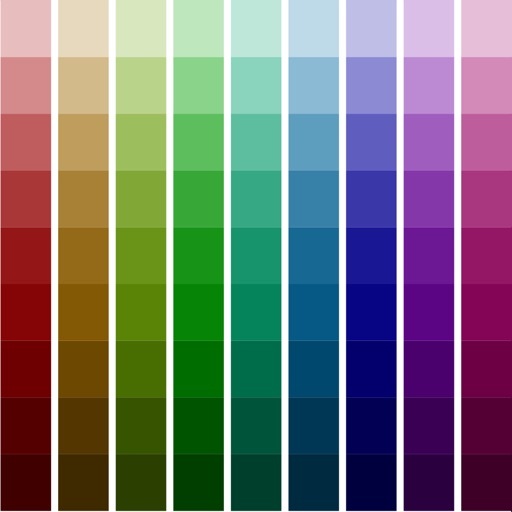 Great for creating color schemes. 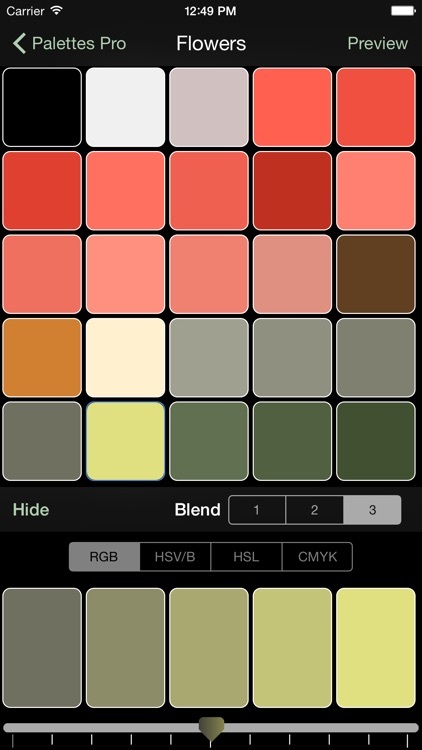 Now you can create a color palette anywhere at anytime. Grab colors from a photograph, a website, or add colors using any one of 5 color models. Quickly find matching colors with support for many different color schemes. 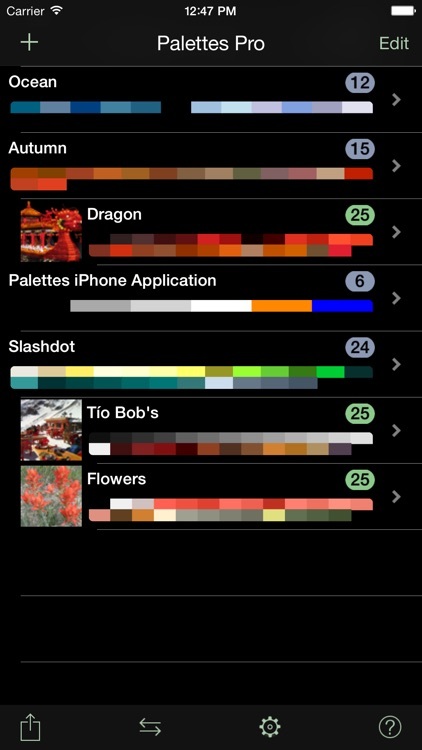 You may create and store any number of palettes. This application runs at one of three levels: Free, Basic, and Pro. The initial free version runs at the Pro level for a limited time allowing you to fully test the application. It will then revert back to the Free level. Use the included in-application purchasing to upgrade to either the Basic or Pro level at any time. • Single universal application works on all your iOS devices including iPhone, iPad, and iPod Touch. 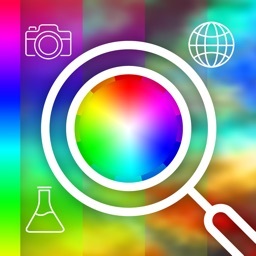 • Quickly create a color palette from a web site, image, camera, or color scheme. 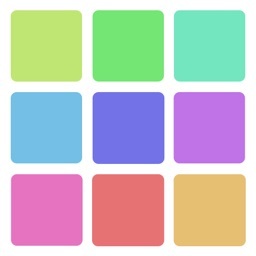 • Unlimited number of palettes (Free only supports 3). 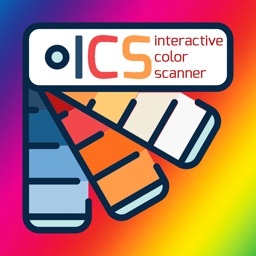 • 25 colors per palette (Free and Basic allows 5). 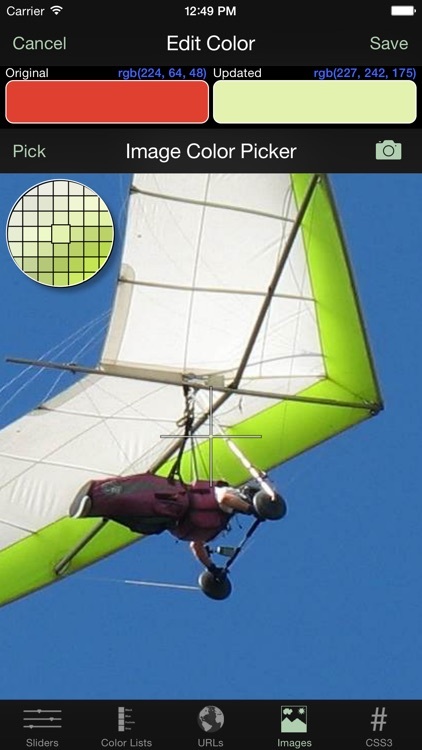 • Standard colors lists (SVG, Web Safe, HTML, Java, Apple) or other palettes. • A website URL (webpage, image, CSS file, 3rd party palette file (Pro)). 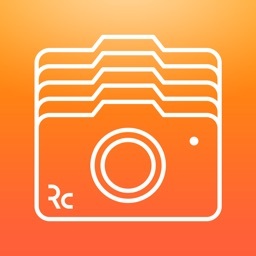 • An image or camera. • Any valid CSS3 color representation. • Color blending (Pro adds using 1 of 4 color models). • Color schemes (monochromatic (Pro), analogous, triadic, complementary (Pro), split complementary (Pro)). • Details (integer, hex, percent, decimal, CSS). • As both a foreground and background color. 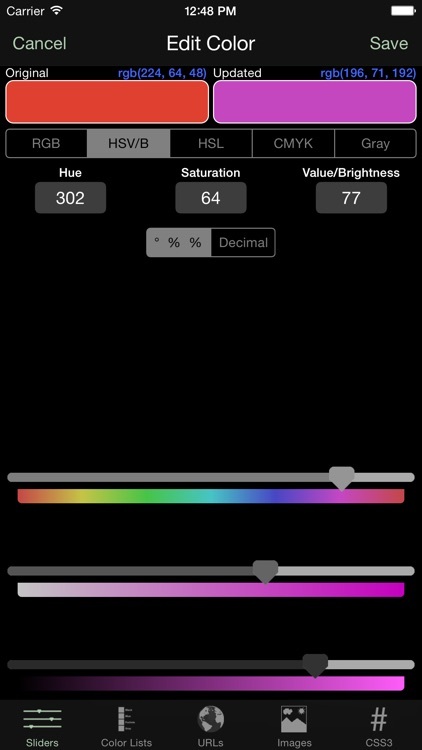 • Display a color full screen to compare against a real world item (press and hold color briefly). • Backup a palette as an image in your photo library for later restore. • Rename, reorder, or delete palettes. 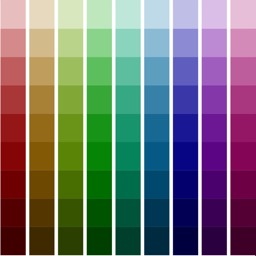 • Sort palette colors by RGB, HSV/B, HSL, CMYK, or Gray color model. • All work is saved as you go. • Always remembers where you left off last. • Built in context sensitive help system. 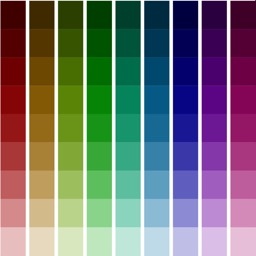 Please visit http://www.maddysoft.com/iphone/palettes to see a more complete set of screen shots and additional information on the features of "Palettes". The website includes contact information for leaving feedback, asking questions, or reporting any issues. NOTE: Known limitation - this version is unable to import binary OS X palette files (.clr) from ~/Library/Colors. NOTE: Screenshots are after upgrading to the Pro level.